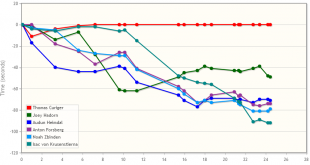 Home / Orienteering News / Ski-orienteering: One step closer to the Olympics? 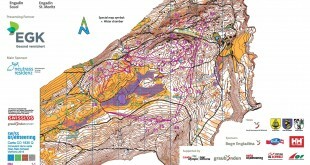 Ski-orienteering: One step closer to the Olympics? 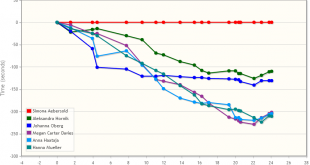 Jan Kocbach October 28, 2011	Orienteering News Comments Off on Ski-orienteering: One step closer to the Olympics? – It is likely that there will be a World Cup event at the Olympic Cross-Country/Biathlon Stadium 1-2 weeks before the formal opening [of the Olympic Games in Sochi in 2014], Chairman of the Ski Orienteering Commission in the IOF, Markku Vauhkonen, explains. Alexander Bliznevsky, Leho Haldna (IOF vice president) and Sergei Belyayev (Russian Orienteering Federation president) had a meeting with Alexander Zhukov, Russia’s first vice-prime minister and the president of the Russian Olympic Committee, and Dmitry Chernyshenko, President of the 2014 Sochi Olympic Winter Games Organizing Committee in Moscow on Wednesday to discuss Ski Orienteering invitational event and promote Ski Orienteering’s Olympic inclusion in 2014 Sochi Olympic Winter Games. – This is what we have formally proposed to the Russian Olympic Commitee and the 2014 Sochi Olympic Winter Games Organizing Committee, and they are in the process of validating. But even with this latest development, the way to the real Olympic Winter Games is still long. When asked about what the earliest time is when we can expect Ski-orienteering to be on the Olympic program, the answer is 2022. – According to the IOC charter and rules, 2022 is the earliest. This we need to live with, Vauhkonen comments. – But they [Zhukov and Chernyshenko] were positive on bringing Ski-Orienteering in, and are now looking at making it possible. Even if the road to the Olympics is still long and winding, the current development is very positive. – “Out-of-sight is out-of-mind”´. Being able to be on site of the OWG – both the promotional races and presentation event – makes us visible. 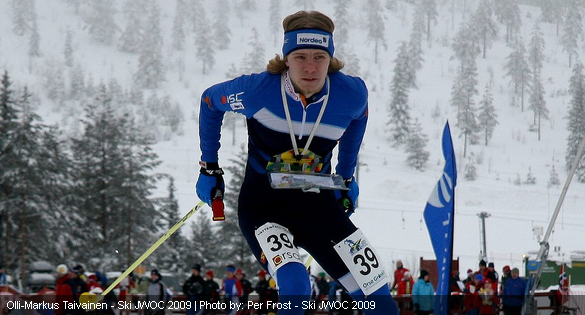 I think it is important to show to the sports world and decisions makers that Ski-orienteering fits excellently to Olympics, creates spectator attention and does not require any additional investments etc., the Chairman of the IOF Ski Orienteering Commission explains. – Those fortunate ones who were in the Asian Winter Games, know this already, but we can show this again for the wider audience in 2014. This is important as our next chance for inclusion is in autumn 2014. With regards to the program, the proposal is ready to go. The suggested program is to emulate the Olympics with sprint qualifications + finals and a mixed sprint relay with live TV and GPS tracking. – We have a very clear programme proposal for the Olympic Games including the qualification systems, TV broadcasting, – everything is ready. We are just anxious to get this opportunity to make it happen. – The Tänndalen mixed relay trial was one of the penny-pilots that we have done to prove the concept – from true-to-sport and spectator attractiveness point of view. In this respect, Ski-orienteering is technically ready for the Olympics. We also proved that at the Asian Winter Games both to the IOC, the OCA (Olympic Council of Asia) and to FIS and IBU that shared the stadium with us. This latest initiative to include Ski-orienteering in the Olympics is a joint effort by the IOF and the Russian Orienteering Federation. – This is an initiative from the IOF Ski Orienteering Commision and the Russian Orienteering Federation. We have worked together with this to organize the meeting since the Asian Winter Games last year when I met the Russian Olympic Committee’s general secretary and brought up the issue of Ski-O inclusion to the Olympic Winter Games formally to the Russian Olympic Committee and the 2014 Sochi Organizing Committee.